In this article you will read how a PYP teacher in Colombia experienced her first PYP exhibition learning and guiding process. When I started teaching in the IB Primary Years Programme, I kept hearing about the PYP exhibition. Since I was not teaching in 5th grade, the idea of the PYP exhibition was a distant one. But that quickly changed as in my second year in the school, I was assigned to teach 5th grade, which meant great changes and challenges ahead. I knew the exhibition was a long and serious process. I just had no idea how long and serious it was. The journey with the students started as an exploration of what the exhibition meant to them. That very first activity helped me realize all the learning that was waiting for me. From them, I learned that the exhibition is part of their closure of the PYP when they will work on enduring understandings that are related not only to academic areas but also to life beyond school. The transdisciplinary theme chosen was Sharing the planet; the central idea was related to peace and conflict resolution. For the students, it was amazing to find out new aspects around these topics that, because of the current situation of our country, have become ordinary features in our daily lives. Through the exhibition, I learned from the students how by following some simple steps we can contribute to making peace, including within ourselves. When the students were carrying out their action, they showed how easy it is to organize our families to get them involved in their topics. They designed campaigns and shared them on the streets, inviting people to individually contribute to make peace. Students realized that it was important to have strategies to create peace and resolve conflict. So they tried to get people all over the school and in the local community to know how inner peace can help to achieve collective peace. Sometimes, as adults, we do not realize that skipping our own peace can be the biggest obstacle to contributing to world peace. The PYP exhibition and the process I went through with my students has been one of the greatest learning experiences I have had in this programme. Completing this task has strengthened our skills and allowed us to demonstrate what we have learned. It contributed to developing our character as we aim to become better students, teachers and individuals who are able to care about others and the world around them. So, let’s all start thinking that small actions can create really big changes. Let´s start with ourselves so that we can spread all our joy and happiness. I hope that at the end of the day we will realize that we can “build peace together” (our PYP exhibition slogan). 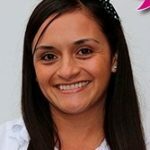 Johanna Peñaloza Moreno is a PYP teacher at Gimnasio del Norte in Colombia and has been working with the IB PYP for two years. She has a degree in applied linguistics of Spanish as foreign language. Our theme and central idea same. Resolving conflicts can lead to a peaceful world. 	Types and causes of conflicts. 	Ways to resolve conflicts. 	Our responsibility towards a peaceful world. I may have some papers you could find useful. Let me know if you are interested on having them. Hi Johanna we’re having our first exhibition this year under the same transdisciplinary theme STP. Would love your help! It is really reassuring (as a first timer to exhibition this year) to read about your first experiences and how powerful and positive they were. Did you find at any point a sense of difficulty or challenge? For instance, as the students began to choose their inquiry path, how did you manage to keep them ;on track’ with their wonderings? Thanks for this post – it gives me a sense of hope! Johanna, congrats on such a successful first PYP exhibition. It sounds like it was very rewarding. I love the students’ action. Was the idea of seeking ‘inner peace’ that of one of the students? I would be eager to hear how that came about as it is such a great concept of seeking inner peace as a road to collective peace. One other question: Do you have any advice for a teacher preparing for their first exhibition? Did you learn anything that you feel was vitally important that someone going into an exhibition for the first time should know? Thanks for your input. Thank you for your reassuring article. I liked your idea of starting the unit with finding out what exhibition means to the students as it puts it into perspective from the students point of view. What has been you biggest learning experience that you would share or advise a first time Exhibition teacher or mentor? What challenges did you face and how did you overcome these challenges? Do you feel we could do more in previous grade levels to help prepare students for the Exhibition? Thank you for sharing your experience with us! This will be my first exhibition this year. Now that your have successfully managed exhibition, is there any piece of advice you would give to another first year PYP teacher experiencing exhibition for the first time? It was an interesting thought to start off exhibition with asking for students to share what exhibition meant to them. Our school has only had one exhibition so most of the students are still pretty unfamiliar with the process since they’ve only experienced one.